The Melt! festival in Germany close to the city of Dessau is trying to become more environmentally friendly. Only recently solar panels have been installed. They produce enough electricity to power two festivals the size of Melt! each year. But the organizer’s commitment doesn’t stop there. Vegan and vegeterian food is strongly encouraged. We have asked at one of the stalls, why vegan food is more climate friendly than a meaty diet. 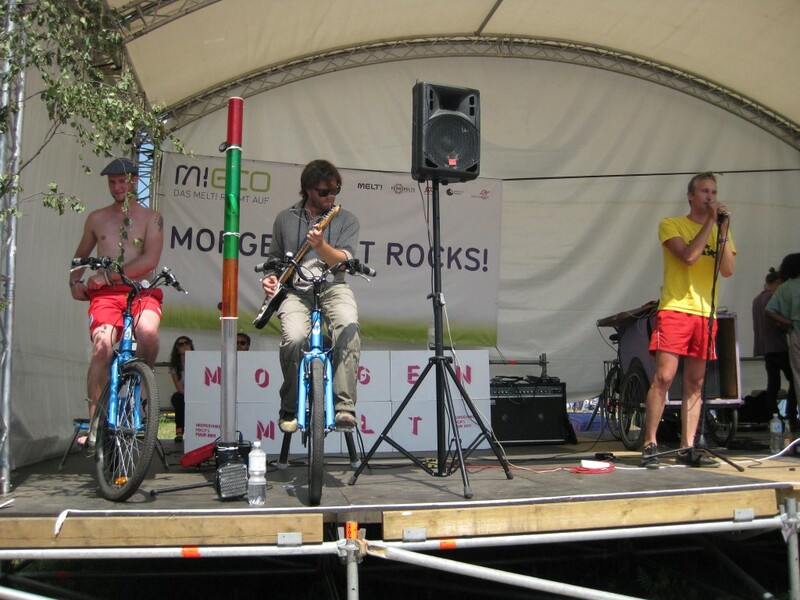 Björn Hansen from Morgenwelt and his team rode 500 Kilometrs from Hamburg to the festival site on push bikes. Here he is powering his own guitar by pedalling. „The only possibility to make a festival really climate friendly is to cancel it.“ Sebastian Fleiter’s statement when asked about his role in making the Melt! Festival more climate friendly sounds depressing. 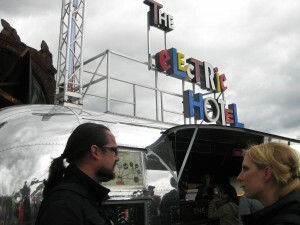 Luckily enough, rather than starting a campaign to abandon music festivals altogether, the artist decided to launch the Electric Hotel, a charger station for electronic devices powered by renewable energy. 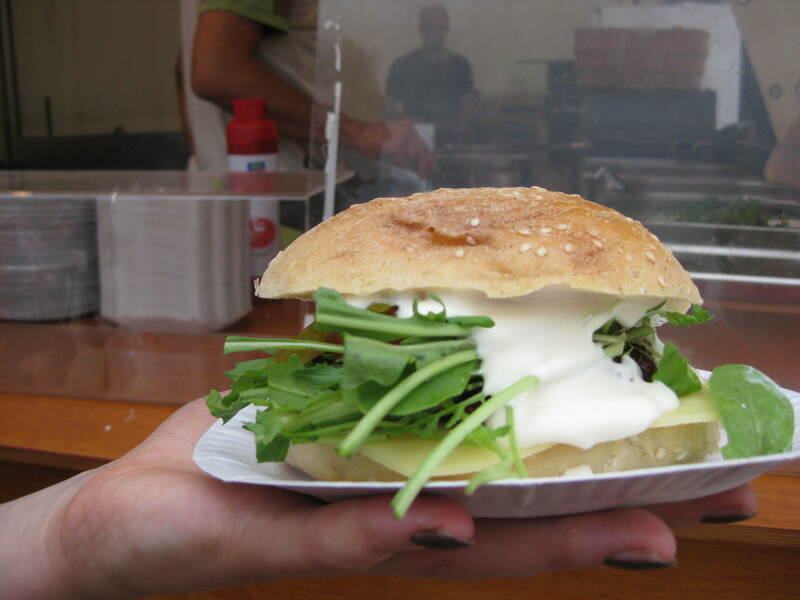 This weekend we will be out and about for you at this year’s Melt! Festival to look at ideas on how the music industry can be made more climate friendly. 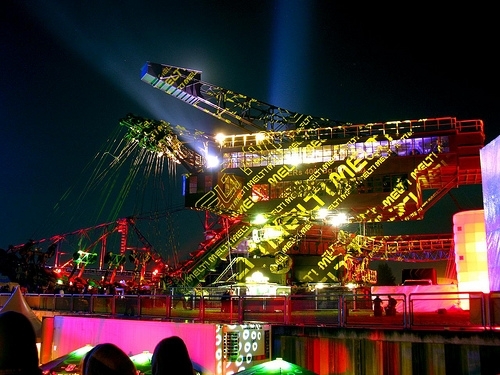 The festival well known all over Europe for it’s fine line up of Electronic music is located just 1,5 hours South of Berlin.